At Bridgewater Retirement Community, we take independent living seriously. What that means is we aim to encourage our residents’ independence and the many aspects of wellbeing. For seniors, that independence has many facets. The most obvious is independence in daily life — the freedom to focus on doing what’s most important to you instead of worrying about homeowner chores and responsibilities. We also are committed to helping residents maintain financial independence. We offer a range of living options and services to make Bridgewater not only comfortable, but affordable for people with a range of circumstances. For example, did you know Bridgewater offers garden apartments in The Courts? These homes are available in sizes ranging from studio to two-bedroom. Their smaller size is just right for some, including single residents and couples who are comfortable with a bit less living space, and the value they afford mean they are always in high demand. Slightly larger two-bedroom apartments are available in Hearthstone Manor, with its inviting community spaces that were recently updated. Duplexes, multiplex homes, and cottages — all within easy walking distance of dining, shopping, and activities — are available for residents who like to live in residential neighborhoods with mature landscaping. With all these living options, residents live independently and take care of regular housekeeping while BRC takes care of yard work, landscaping, and repairs and maintenance. If you prefer to have housekeeping services as well, that is available for an additional fee. The meal allowance included in the monthly fee offers convenience as well as flexibility, with dining available at two on-campus venues as well as in nearby downtown restaurants. For people who want the convenience of our prime amenities package along with being in the same building with dining and other services, we offer beautiful apartments at Maple Terrace and The Grove, the latter of which is being built as you read this. These homes come with weekly housekeeping and a higher monthly dining allowance. A few spaces at The Grove are still available before we open later this year. Interior finishes have already been chosen for the Grove apartments. For existing homes, interior renovations are completed prior to move-in, giving residents a fresh, clean living environment to move into as well as choices in setting up their new homes the way they like. Our philosophy is that it is the residents’ home, and we’ll do whatever we can to help it feel that way from day one. Bridgewater purposefully offers this diverse range of options because we know everyone is different, and also because our mission is promoting an engaging lifestyle within our compassionate community. Part of that compassion involves matching people with homes that fit their budget, which is why we financially qualify everyone who applies to live here. While that may sound restrictive, it also assures that residents make sound financial choices. In fact, many are surprised at how affordable Bridgewater really is. Below are three scenarios that show how BRC’s various opportunities are more affordable than you might think. Everyone’s financial situation and needs are unique. To learn more about how good a fit BRC would be for you, call us at 540-828-2540 to make an appointment with us and talk specifics. And don’t hesitate to include your financial advisor and other members of your family. We welcome their involvement. Our goal is to help you make the best decision for you. Susan Jones is a retired school teacher. Never married, she owns a home that will sell for about $130,000, and she has $100,000 in savings. Between her Virginia Retirement System pension and Social Security, her annual income is $35,000. She can comfortably afford a one-bedroom garden apartment in the Courts at BRC. After selling her home and paying the entrance fee, she will still have assets to provide for future needs. And, after paying BRC’s monthly fee out of her income, she will have funds available for personal and medical expenses, food, fun, travel, and to put away for future needs. Eric and Judy Smith own a home worth $190,000 and have savings of $250,000. They have an annual income of $62,000. In their early 70s, they are interested in a single-family cottage or duplex with garage. They can afford it! After paying the entrance fee, they will have assets to provide for future needs. And their income will easily cover their monthly fee, personal and medical expenses, food, fun, and travel. Simon and Mary Clark, in their late 70s, are interested in the spacious apartments in the Grove with the added amenities and services that will make their lives easier. They also want to preserve some of their wealth to pass onto their children. They have sold their home for $300,000 and have investments worth $400,000. Together, they have an annual income of $85,000. The Grove is an excellent choice for them. After paying the entrance fee, they will still have assets to spare. Plus, after paying the monthly fees, their annual income will cover personal and medical expenses, travel, dining out, activities and hobbies. For independent living, you must also meet the qualifications for physical independence. Once a resident is a member of our community, however, they are residents for life. If a spot in Assisted Living or a Nursing household is needed, BRC’s residents have top priority. 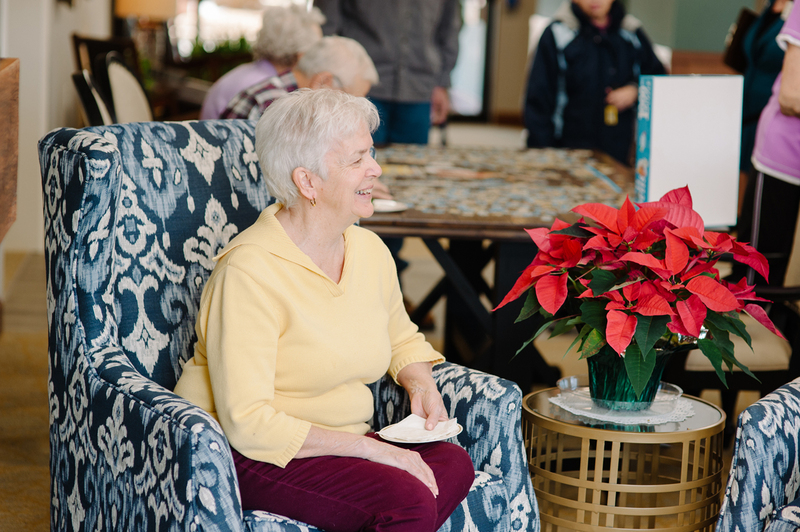 Bridgewater Retirement Community operates as a non-profit, and the Bridgewater HealthCare Foundation exists to help close the gap when residents who exhaust their resources and are no longer able to pay the full monthly fee — another way we practice compassionate community. Is Bridgewater right for me? 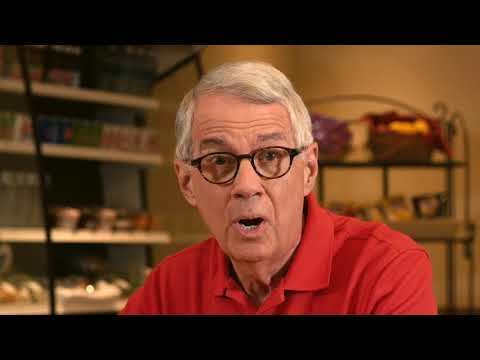 If you’ve reached the stage in your life where you are independent but don’t want the daily encumbrance of home maintenance, then Bridgewater Retirement Community may be for you. If you want time and energy to pursue other interests, connect with neighbors, give back to the community, and maintain your healthy activity, it’s likely Bridgewater is an excellent fit. And, since we are a Life Plan community, you never need to worry about increased need for support as you age. Bridgewater is fully committed to helping you age in place, whether that means a move to Assisted Living or to a nursing household in our Huffman Health Center, or staying in your independent living home with additional support. Our focus is to make sure you continue to experience the joy and comfort of having a true home.